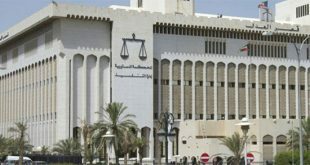 KUWAIT CITY, March 1: The Civil Court dismissed lawsuit a Kuwait University teacher filed against the guardian of a female student and demanding KD 50,000 compensation. 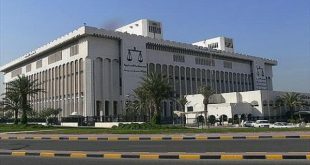 Defending the guardian (accused), lawyer Dhari Obaid Al-Thufairi said the (teacher) plaintiff had earlier sued his client. He explained that the plaintiff insulted his client’s daughter and drove her out of the class, which prompted his client to submit a complaint to the dean of the concerned faculty. He stressed the dean released the complaint to the plaintiff instead of taking necessary measures against him. The plaintiff thereafter accused his client for alleged defamation and abuse, and requested the above-stated damages. He noted the Misdemeanor Court had acquitted his client and presented a copy of the verdict to support his claim. Officers freed: The Criminal Court released Tuesday several Ministry of Interior police officers accused of attempting to smuggle weapons from Iraq on bail of KD 2,000 each. The Public Prosecution charged the officers with smuggling weapons from Iraq with the intention of selling the contraband. The officers were arrested with 198 hunting guns known as ‘shozan’ rifles which they tried to bring into the country without paying the customs fees. Decision cancelled: The Appeals Court cancelled a decision by the Undersecretary of Public Works Ministry to revoke the title of ‘Director’ bestowed on the head of a technical office in the ministry. Plaintiff Attorney Thamer Al-Mutairi explained that his client joined the Ministry of Public Works since 1986, and had been upgraded to the position of Director of Technical Office. Following the cancellation of the Technical Office, she was moved to the Planning Sector with the designation of Director. However, the undersecretary issued Decision No. 446/2013 to cancel her job title in violation of law. The court presided over by Judge Najeeb Al-Majid decided to restore the job title. Deal nullified: The Commercial Sector of the Court of First Instance nullified a deal for the sale of a café joint and restaurant. The plaintiff had urged the court to validate the sale deal between him and the first defendant, and ensure the second defendant transfer ownership of the property to him after renewing the license and the first defendant vacate the property with all equipment for his occupation. He also urged the court to order the first defendant to pay the legal fees and other expenses. The first defendant had also filed a lawsuit against the plaintiff and others, requesting the court to nullify the deal involving the first defendant in the other case and the plaintiff for the sale of license, furniture and other assets of the café and restaurant. Counsel to the first defendant in the first case and plaintiff in the second case Lawyer Talal Al-Enezi presented documents for clarifications on the condition related to both cases. He said he was not briefed properly and the transaction did not conform to articles 34 and 36 of the Commercial Law. The court dismissed the first case and nullified the deal in line with the plaintiff’s request in the second case.